Do you make or sell an American-made product? NIA members can submit one product, free of charge, for the 8-page American-made Product Guide in the July 2019 issue. Contact editor@insulation.org by May 15 to participate. Space is limited and $1,000 enhanced listings are available. Click here to submit your product. NIA's agency, The YGS Group, will help you with your 2019 marketing strategy and plans. Contact Justin Wolfe at 717-430-3348 or ads@insulation.org. Contact Robert Glass at 717-430-2212 or ads@insulation.org. 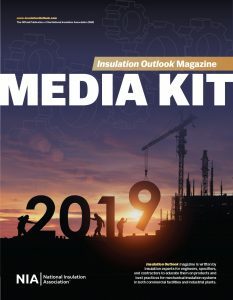 The 2019 Insulation Outlook Media Kit is here! Download it today to see the new website, email, and custom package opportunities. Download and fill out our advertising insertion order form. 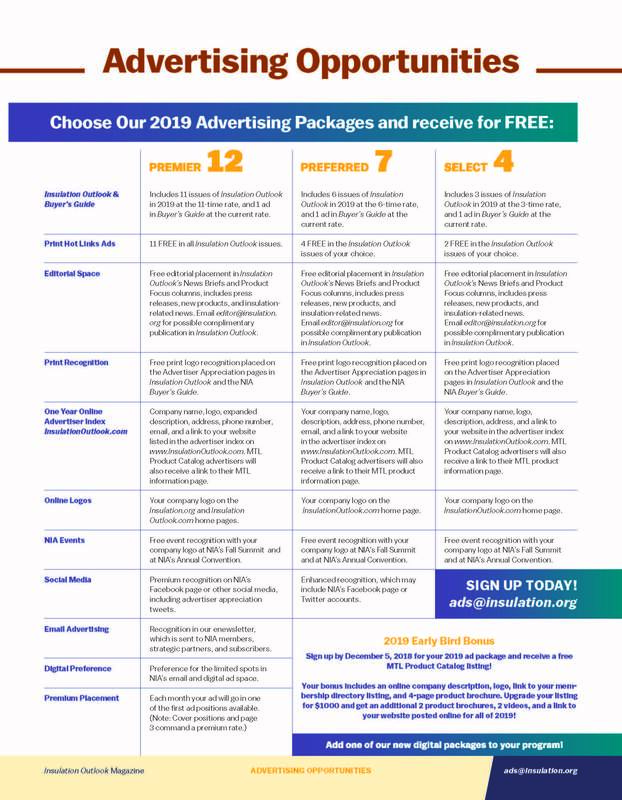 Email it back to ads@insulation.org. Trying to Reach Engineers, Specifiers, Mechanical Contractors, and Code Officials? Insulation Outlook is the only magazine in the world that focuses exclusively on mechanical insulation, its benefits, and proper design, maintenance, and best practices for thermal systems. No other publication focuses solely on these products and systems, making Insulation Outlook the best place for advertising that will yield concrete results. Insulation Outlook has more than 11,500 loyal subscribers who look to the magazine for information on best products, practices, and installation techniques. Our subscribers buy products advertised in the magazine. How do we know that? They told us. Download our Media Kit to find out how you can get your products in front of a purchase-ready audience. What Industries Are Insulation Outlook Readers Involved In?